Last night I made the best dinner yet—and it was easy. 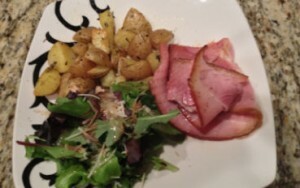 Honey baked ham with oven-baked rosemary potatoes and a leafy green salad. After spoiling your children with the latest gaming console, dollhouse and Power Wheels this holiday season, it’s time to reign in the spending and tackle the season’s credit card debt. 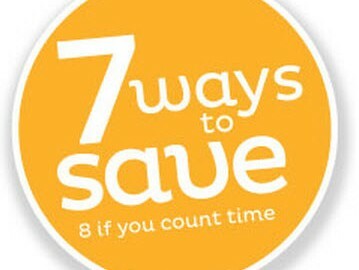 Macey’s, with the help of Liz Weston of MSN.com, have a few tips to help you restore order to your finances. Before you can construct a plan to erase the season’s expenses, Weston advises people to tally all debts, including credit card balances, loans and medical bills. After you have assessed the damage, use a debt calculator to determine reasonable monthly payments. After living beyond one’s means throughout the holiday season, now is the time to live modestly. Weston believes those struggling to gain control of their debt need to ditch the cable package, eat in and drop the landline. After the bills are settled, you can restore service to these amenities. There’s wisdom in the old adage, “those who forget the past are doomed to repeat it.” After tackling your holiday debt, start saving for next year. “People who pay cash for their holiday needs will tell you there’s nothing like the feeling of satisfaction that comes from a debt-free start to the year,” Weston said. 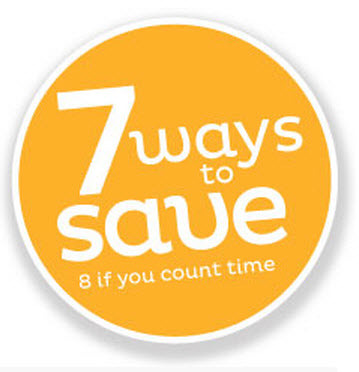 Don’t forget to continue shopping at Macey’s stores, offering seven ways to save cash. Each Macey’s location offers national brand quality at affordable prices, the best price per ounce on products and a Perks program which offers every day sale prices without a pesky club card. Come in to check out Macey’s Meat Packages which contain all the fixings you need for a family dinner at a fraction of the price! It’s not every day the local school district declares a snow day, so don’t miss the opportunity to make your one-day vacation with the kids a memorable one! Looking for an activity that will entertain your kids for hours? Gather all of the blankets, sheets, pillows, chairs and paperweights and help your children become creative architects. A temporary fort in the living room filled with pillows, passageways and snacks is the perfect venue to snuggle up for a movie. Macey’s flour tortillas can easily be converted into a delicious snow day treat! Fold your tortilla into fourths and cut out shapes just like you would for a paper snowflake. After you’ve designed your snowflake, cover the entire top-side of the tortilla with butter and sprinkle cinnamon sugar on top. Slide the tortilla into the oven at 350 degrees and bake until crispy! 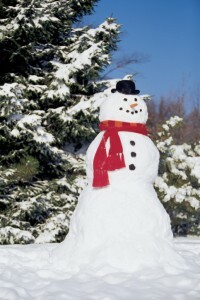 We know, the idea may seem unoriginal but ask yourself when was the last time you built a snowman with your kids? Head to your local Macey’s supermarket to pickup carrots and charcoal for a traditional snowman! These days, young boys and girls have become infatuated with video games and apps on gaming consoles, cell phones and tablets. Want to improve your reputation with the kids? Join them in their games! This is a great way to have some fun with your kids and learn more about the games they’re playing. Take advantage of this opportunity to teach your kids. Carry a pack of snow into the house to watch it melt or stick it into the freezer to preserve the snowflakes. 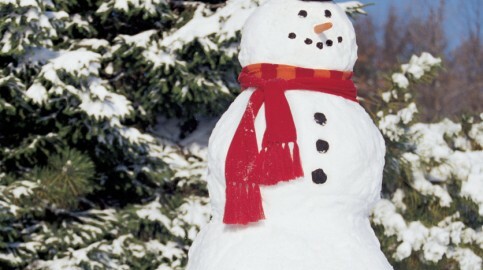 Build an igloo to teach your children how a house of snow can insulate heat. Or, think of a fun object-lesson you conducted as a kid and share it with your children. Okay, in 2012 your family got its fill of fast food and frozen pizza. This year, make a commitment to eat healthier as a family! 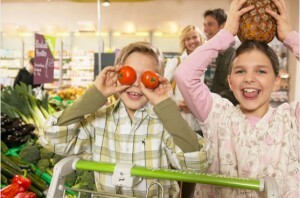 Kathleen Doheny of WebMD has three tips to help your family live a healthier lifestyle in 2013. If you’re looking to make a substantial lifestyle change, expect resistance. Change will feel uncomfortable. Doheny advises families to take baby steps. With time, replacing unhealthy eating habits with healthy solutions will leave your family asking for apple slices instead of potato chips. “If you’re like most parents, a hectic schedule may pose one of the biggest challenges to having your family eat healthy,” Doheny says. Dietitians suggest carrying a cooler filled with snacks in the car. A cooler filled with whole-grain crackers, baby carrots, string cheese, raisins and pretzels will prevent you from taking an unnecessary trip to the McDonald’s drive-thru. Children are perceptive, and if they notice that mom and dad are sneaking Oreos into the master bedroom they won’t forget it. A recent British study found that children whose parents weighed more and had a higher body mass index (BMI) were more likely to have a higher BMI themselves. Doheny advises parents to make a check list and keep track of your eating habits. A chart on the fridge will help you remain accountable to yourself and kids. 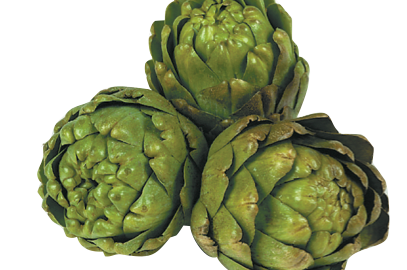 This week, I’m planning on making artichokes for dinner. 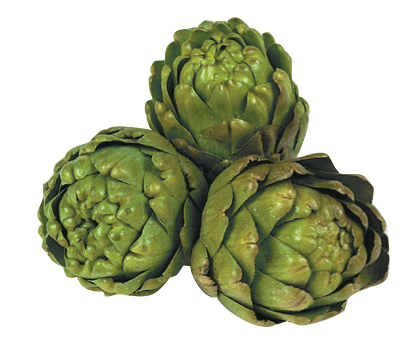 But before I hit the produce department, I wanted to get Garry, one of our produce experts advice on how to pick the perfect artichoke.